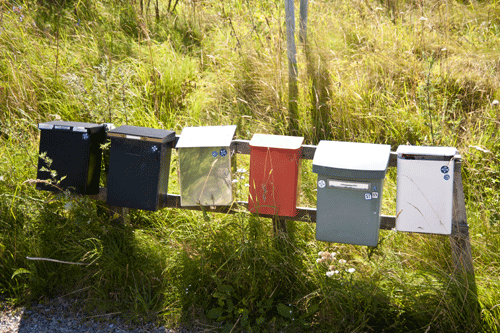 You know that feeling when you open your mailbox and there is nothing inside? No matter how much we grump about junk mail – a day when you open your mailbox and don’t even see a postcard advertising gutter cleaning leaves (unintended pun) you wondering what postal holiday you missed followed by a sinking feeling that you have been totally forgotten and nobody cares. Let’s take it a step further. You know that feeling when you open your mailbox and there is an envelope inside, with a stamp, with your name handwritten…by someone you know. I recently sent a friend a handwritten letter. I have no idea what prompted me to do it. The email 😉 she sent after she received the letter told me how she had reached a point that she was so depressed by the bills and impersonal mail that she had to force herself to go to her mailbox that morning. Getting that letter changed everything. Send someone a handwritten note today – a client, a friend, a prospect, your mom. Make it a regular practice and you will stand out from the crowd. This entry was posted in Mail, Marketing and tagged Marketing, out of the box, promotional. Bookmark the permalink. Statistics prove that there is no better medium for reaching people (either business or personal) like ink on paper. It has permanence that email does not. Both are good and when paired become a strong means for connecting.